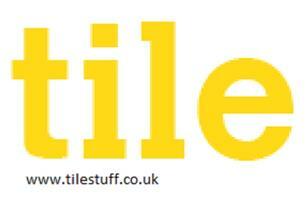 Tilestuff - Tiler - Tiling based in Harlow, Essex. I am a tiler of 30 years and i am probably the most qualified tiler on here, being the most qualified doesnt make me the most expensive though so please bare with me. In 2005 i opened my first private training centre teaching tiling and advanced tiling, two years later another three. I write for a national building magazine and i am a consultant in the tiling industry i have also sat on the board ot TTA (The Tile Associasion) . I have appeared on Ch4 GRAND DESIGNS as well as sky1 Best house in the street and several other TV shows, so yes all in all i am pretty well qualified. Many peoples first reaction is that i must be expensive, actually its the opposite, i am lucky enough that i do not have to work like crazy but do so because i love it so much, it does mean that i am selective about what work i do and also how much i take on. Please call me though, i can only say no ! I do love my industry and i always offer free advice to anyone, if you have a question or a concern regarding anything in the tiling industry i will always help if i can, just ask me. All of my customers can use my trade accounts and buy tiles at the price i pay for them, in fact if you find a company that has trade discount i will open an account for you.